Camping on the island is great fun, with the weather here being pretty much perfect for getting under canvas all year round. Unfortunately, we only have one campsite on the island currently, and one on neighbouring La Gracisa. 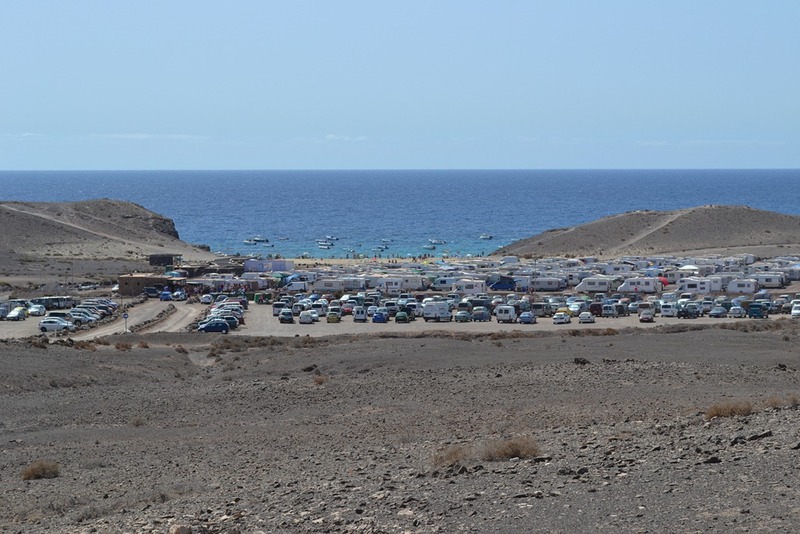 There are two official sites for camping in Lanzarote and La Graciosa. This is the island’s largest site, and is also right on the beach. It is well equipped, and has a good toilet block with private showers. Some years Papagayo camping is opened at Easter, but in recent years, it has been for the summer only. In 2017, it was open from 21st June until 17th September. The site has 284 plots and pitches for camping are around €7 per day and €10 per day for motorhomes. This includes electricity and the site has an access ramp to the beach for wheelchairs, a shaded area, ten BBQ’s, updated toilets, 24 hour electricity, fire system and sewage treatment plant. You can make reservations directly at the campsite. Camping on La Graciosa is fabulous! Again the site is on the beach, and there are reasonable facilities. La Graciosa is a true “no news, no shoes” island! The campsite has to be reserved in advance, it’s an easy 10 minute stroll from the harbour area, just follow the track to the left past the harbour beach to the end and around to the right and you are there. The facilities are basic but you do have a shower and toilet block, the ladies are on the left and men’s on the right – the showers are fresh (cold) and the toilets flush (take your own toilet roll). It’s very basic but free and situated right on Playa del Salado which is a bit slippery and shallow at low tide to get into the water but great for snorkelling. Despite the “No camping” signs, you’ll find many people using the beaches at Arrieta and Orzola for a spot of unofficial camping, and nobody seems to mind. You’ll be surprised to see the number of caravans at the official sites – many locals park their ‘vans at the sites at the start of the summer and leave them there all through the season. They effectively use them as holiday homes, with one partner and children spending the long summer holidays in them, with the other joining them at the weekends. They equip them pretty well – many have washing machines, air conditioning and satellite television! One thing worth bearing in mind is that Spanish camp sites are noisy places – there is usually a party at night, which will go on until the early hours, and nobody gets up at dawn! Simple lightweight tents can be bought at many stores on the island, so pick one up and give it a try! If you like camping, you’ll probably love walking: Walking in Lanzarote.